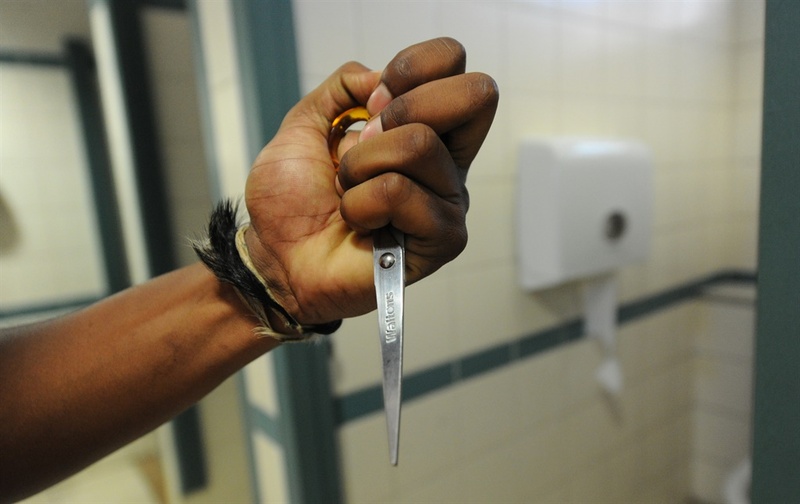 Fists, knives and weapons — school bullying has been taken up a notch. While bullying and violence go hand in hand, school bullying has become more violent than ever before. Videos of school children fighting are popping up more frequently on social media, highlighting the seriousness of bullying. Educational psychologist Merise Williams confirmed that school bullying appears to have turned more violent. It is also more in the spotlight because of social media and videos are being made and circulated. There are multiple reasons for the violence, she said, ranging from children being exposed to more violence in their social environment to “other social and emotional factors that are then perpetuated in the school environment”. Schools need to have bullying policies and strategies on how to intervene in place, she said. These polices not only need to address bullying when it occurs, but also serve to prevent bullying by addressing the problem holistically which includes addressing those societal problems that influence greater violence amongst our youth. “Teachers and parents need to take measures against bullying. It is about an imbalance of powers. “Pupils need to learn how to be more assertive and stand their ground at the onset; this does not require violence. Bullied pupils need to seek support and not take matters into their own hands,” said Williams. Vee Gani, of the Parents Association of KZN, said acts of bullying have now escalated and become extremely serious. His view is that since violence is a criminal activity, children need to be dealt with in a criminal environment with the involvement of the police and courts. Laws are designed to protect children and it appears that very little is seen to be done to child offenders. “The police and courts need to take a firm stance to send a message that this sort of bullying will not be tolerated. The children need to be held accountable. It seems that the punishment now is some sort of intervention process and counselling,” he said. To curb bullying, Gani said schools need to have a code of conduct. They need to invest energy and time to hold tribunals. These codes of conduct have to be implemented stringently. Parents too need to play a role and need to institute discipline. Local attorney Ashraf Mahomed said that the courts are taking cases of school bullying more seriously than before, because of its prevalence. “They are investigating these matters and not just releasing the child after a first time court appearance. Children are being detained at places of safety and juvenile sections at prison while investigations take place,” he said. Mahomed added in some cases bail is being opposed. Prosecutions boss, Moipone Noko, said the state “obviously views bullying cases in a very serious light in line with a constitutional imperative to protect children”. Police spokesperson Captain Nqobile Gwala said that prevention and early intervention are the most reliable ways to support schools in consistently delivering teaching and learning in an environment that is physically and socially safe. She said the police have a mandate to prevent, manage and respond to all incidents of crime and violence at schools. Awareness campaigns are being conducted by police at schools across the province in the fight against crime, she said. Schools are being visited on a weekly basis and pupils are being educated about crime, drugs, violence and to report all forms of crime and abuse to the police or teachers. “Searches are also conducted at schools in line with the School Safety Act. During the searches, slopes of dagga, and sometimes knives are found. The use of drugs among young people can make school a less safe,” she said. • In Pietermaritzburg recently a 16-year-old boy was charged with the attempted murder of another boy. He was stabbed outside the Heather Secondary School. The boy was granted bail. • In another recent case, a “bullied boy” allegedly turned on his tormenter by assaulting him outside the Dunveria Secondary School. The boy was arrested and is out on bail. • This week, a video involving violent behaviour at an Ekurhuleni school, in Gauteng, emerged. It showed two girls fighting. • Also, in Ekurhuleni, another video was circulating showing a group of pupils attacking another at Crystal Park High School, in Benoni. • Last month two pupils involved in a scuffle at a Centurion school were placed on precautionary suspension. This followed a video of an altercation between a schoolboy and a schoolgirl which was shared on social media. • In January, four pupils from Hoërskool President in Ridgeway Johannesburg were suspended after a school fight video went viral. • That same month, a few pupils involved in two violent fights at an Athlone high school in the Western Cape were suspended pending a disciplinary hearing. The province’s Education Department spokesperson Jessica Shelver was quoted saying that the department has become concerned about the increasingly violent nature of bullying at Western Cape schools. The fight was also videoed and shared on social media. The department has now embarked on a campaign to highlight the effects of bullying on pupils.